Maintain accurate blood pressure readings with lower lifetime cost with gear-free DuraShock™ technology. The Gold Series' premium gauge provides unsurpassed reliability in a traditional handheld device. 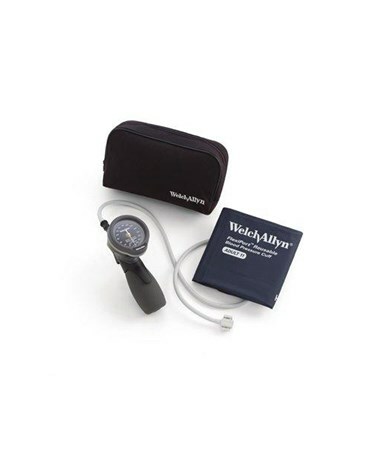 The Welch Allyn Gold Series DS66 DuraShock™ hand aneroid sphygmomanometer is accurate to ±3 mmHg or 2% of the reading above 200 mmHg. This product will maintain the safety and performance characteristics specified at temperatures ranging from 10º C to 40º C at a relative humidity level not to exceed 90%. The super shock-resistant device can withstand up to 60° drop (twice the AAMI "Shock Resistant" standard) and remain in calibration. 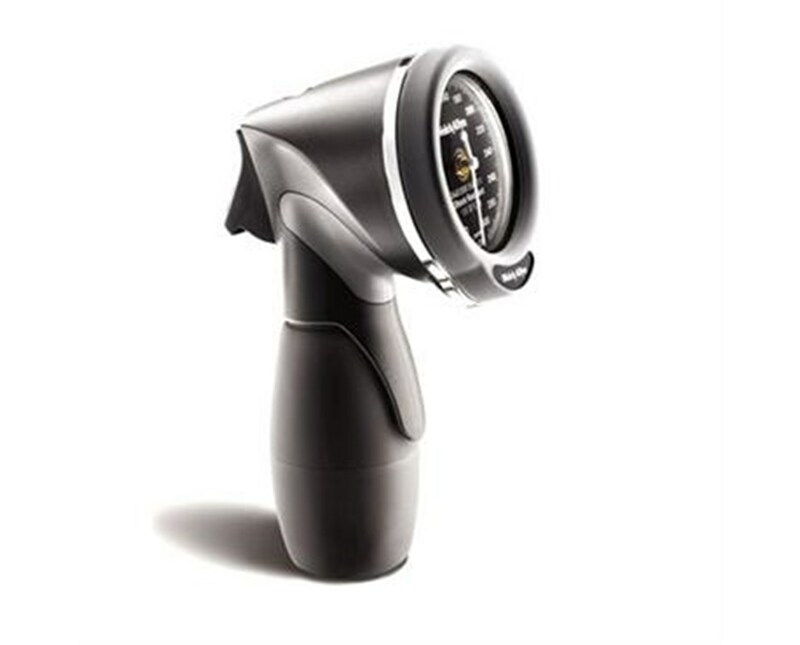 It features jewel movement for long life, laser-engraved dial face for accuracy, and a smooth, trigger-style air release valve and ergonomic design with soft plastic inserts at key touch points for comfort. Its lighter-than-traditional-model weight won't weigh down your lab coat. Cuffs are color-coded to aid in finding the right size easily. 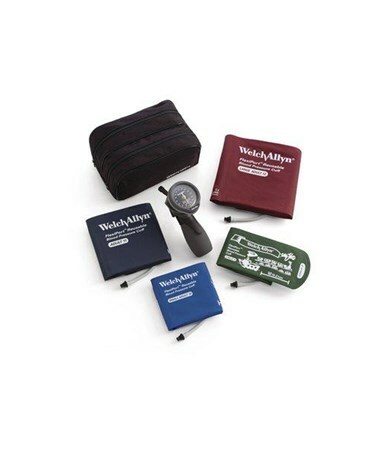 Each set comes complete in a zippered nylon case for portability and convenience. Choose a model from the drop-down menu in the upper right corner of this page. 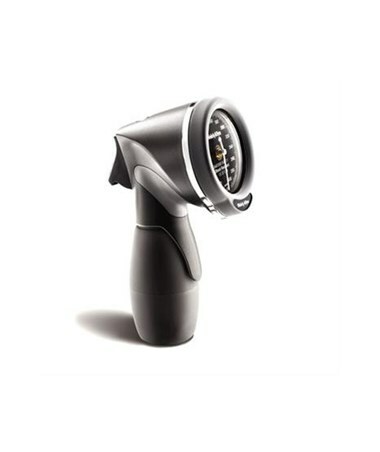 Smooth, trigger-style air release valve and ergonomic design with soft plastic inserts at key touch points for comfort. Weight 0.92 - 2.07 lbs.